A faux nativity scene featuring a makikin of a bleeding Trayvon Martin. 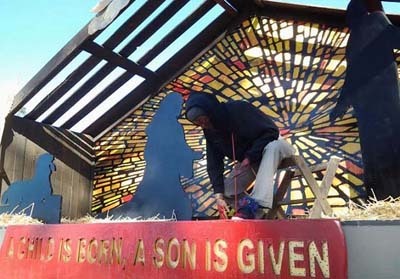 The faux nativity scene features wooden cutouts of traditional nativity figures but instead of a baby jesus, the display has a life-sized African American manikin wearing a black hoodie. The manikin has a stream of blood oozing from its chest and onto the ground staining its hands red. The outrageous scene is part of a display by Claremont United Methodist Church in Inland Valley, California, which is about 30 miles east of Los Angeles. 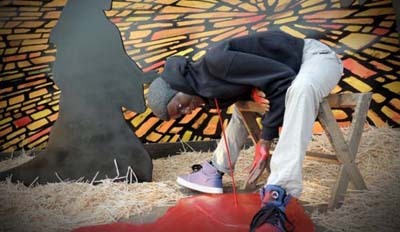 According to the “artist” that created the display, the death of Trayvon Martin made him think of Jesus. 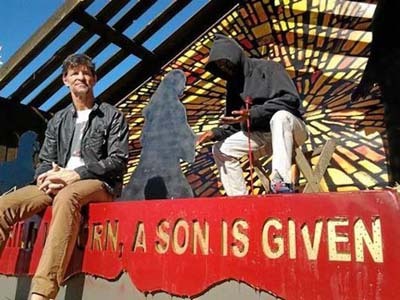 Artist John Zachary told the media that since the nativity was a story centered around King Herod’s campaign to kill all the infants in Bethlehem in an attempt to kill the newborn Messiah, he naturally thought of the death of Trayvon Martin. Zachary said that when he was looking for photos of Trayvon Martin, one of the teenager lying dead on the pavement really sparked his interest. “What if Jesus was lying there bleeding to death? I was kind of thinking of that,” Zachary said. Instead of tidings of comfort and joy, Christmas in Bethlehem would have witnessed “other parents in agony because their children had just been killed,” a plaque near the display explains. Of course, the main title under the display shows Zachary’s ignorance of the Bible. The line “a child is born, a son is given,” is more apropos of Easter, not Christmas. The artists sits near his creation. 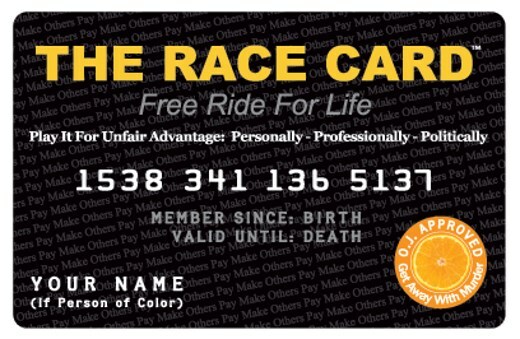 Unfortunately, this has become a tradition of sorts at this left-wing church. Zachary has been creating his “updated” nativity displays since 2007. One year he even turned the nativity into an platform to push gay marriage. Of course, it is absurd and outrageous for this artist to intimate that Trayvon Martin, a thug who was beating a man when he was shot, is somehow just like Jesus who died for our sins. What do you think of this “tradition” at this liberal church?